People who do not do sufficient physical activity have a greater risk of illnesses such as cardiovascular disease, colon and breast cancers according to the Australian Institute of Health and Welfare. 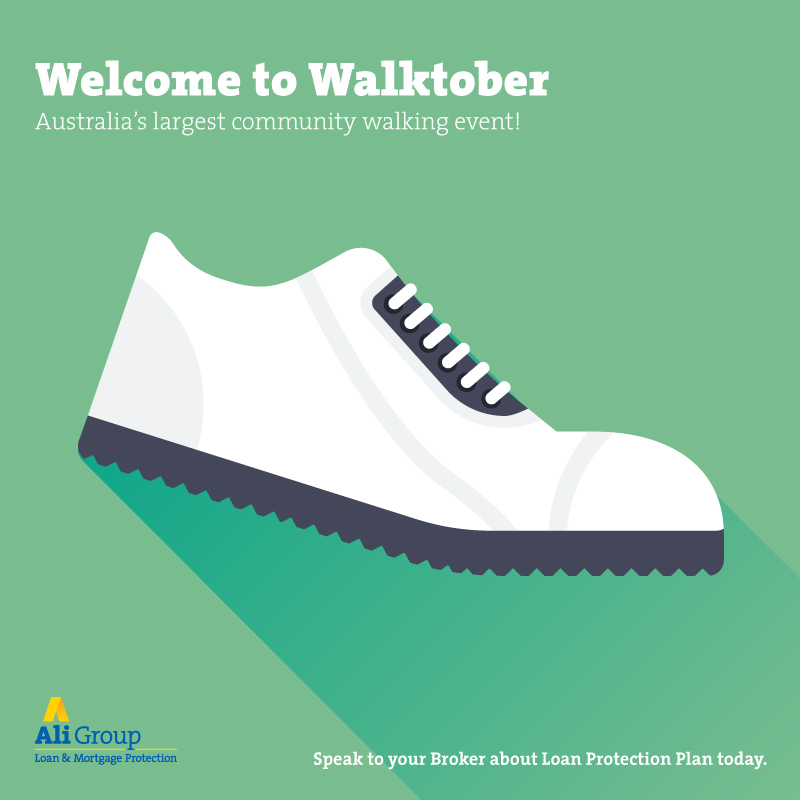 Walktober is a great excuse to release your feet and improve your overall health. 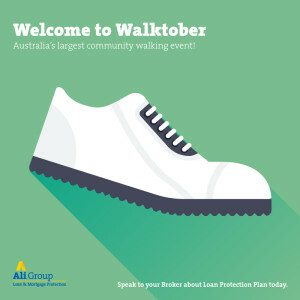 Find local events at www.walktober.com.au. Everyday life events may impact on your ability to meet your loan repayments. Talk with Pride Mortgage Services about Loan Protection Plan today.